Christmas is that special time of year in which we give cards, letters and presents that we wrap. 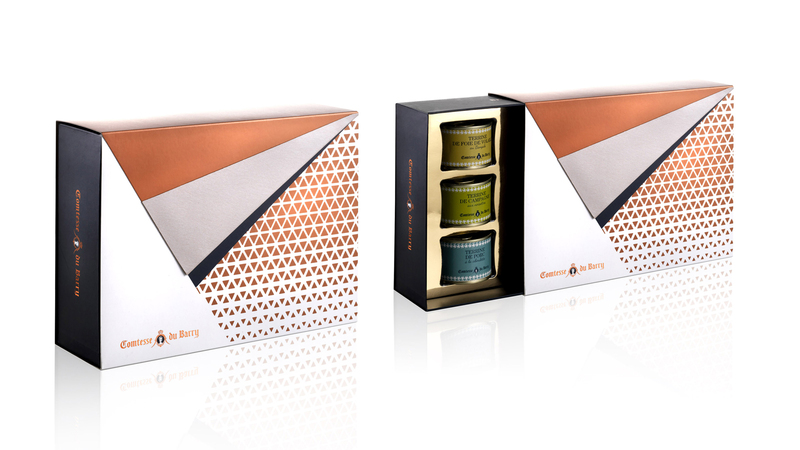 Through the art of presenting gifts, we tell our loved ones how much they mean to us. 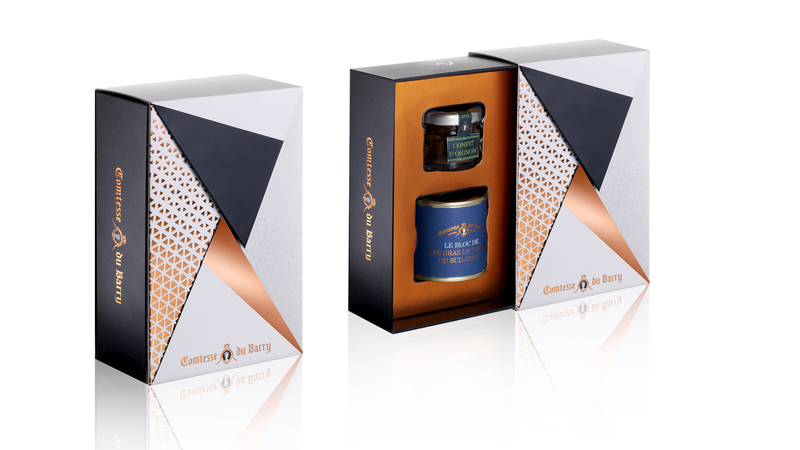 Comtesse du Barry wished to develop a range of unforgettable Christmas boxes that would be up to this moment. In 2017, Comtesse du Barry immersed in the wonderful world of origami. 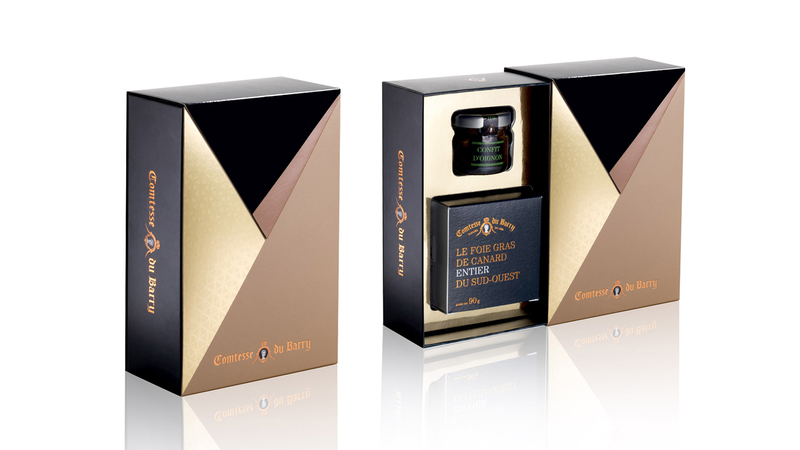 This theme corresponds to its traditional inheritance and its two fundamental values: gastronomy and aristocracy. 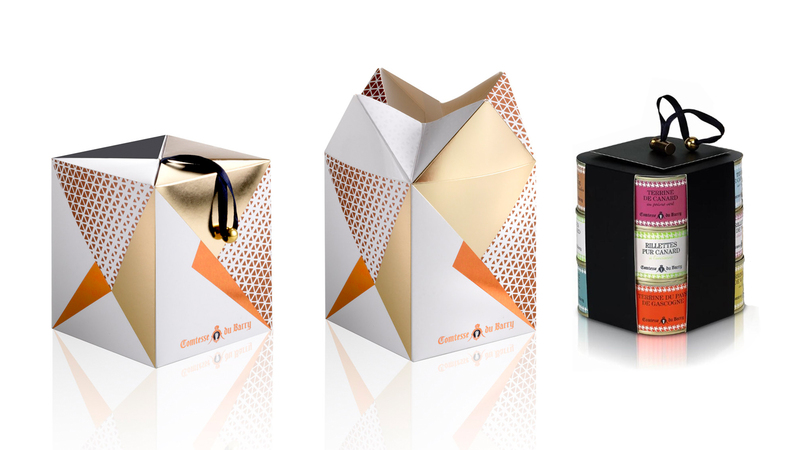 Originally, origamis were made with quality materials by aristocrats who wished to present gifts that would show their benevolence to their addressee. 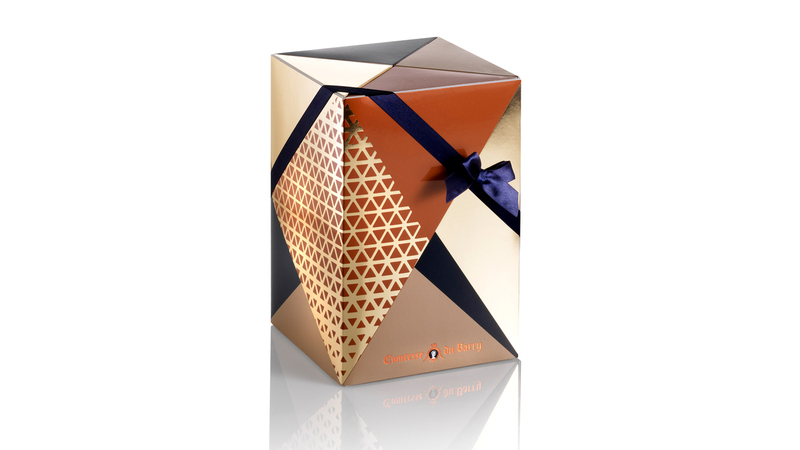 We conceived the range of Christmas boxes by developing a refined, chic and gourmet origami, like a gift that one would unwrap. 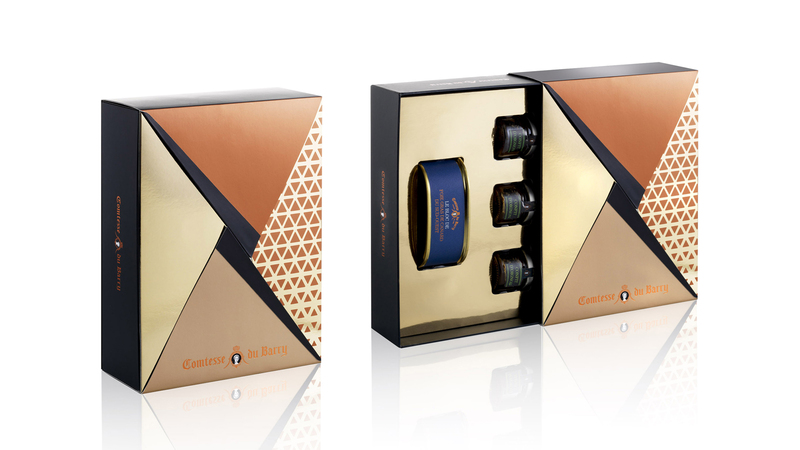 In perfect harmony with the institutional boxes of the brand, we created a combination of colors and luminous effects with a Christmas spirit. 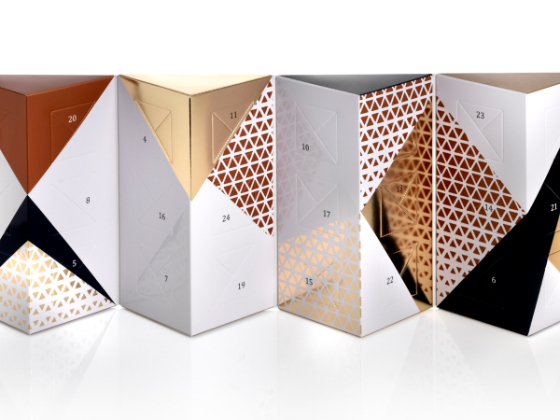 The calendar unfolds to reveal all of its graphics and its surprises in the style of a chic and gourmet origami. 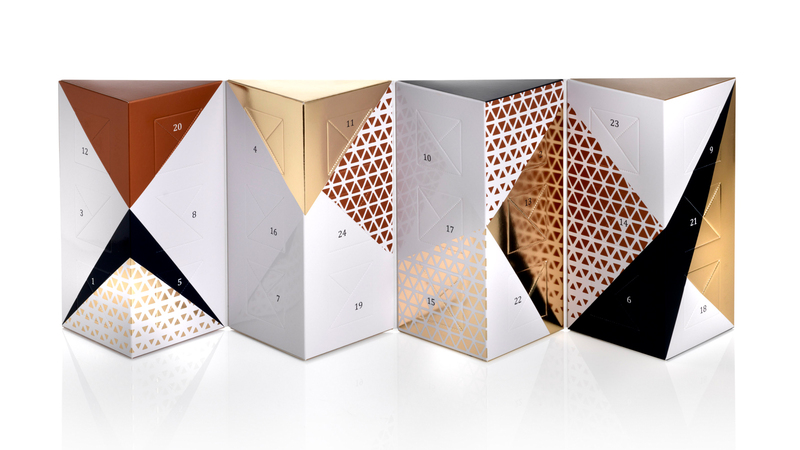 Behind each square, a candy sagely awaits to be savored each day.